James Gillespie’s High School, centrally situated in Marchmont and one of Edinburgh’s top local authority schools, is the school that provides continuity of Gaelic-medium education into secondary. All children who have gone through Gaelic-medium education at primary are eligible for a place at Gillespie’s. Gaelic language and literature, and history are currently taught through Gaelic, and there are an increasing number of opportunities for extra-curricular activities, excursions, projects and creative endeavours taking place through Gaelic and involving cultural aspects of Gaelic. The number of subject areas taught through Gaelic also looks set to increase over the next few years, to further enable our children to use their language in new environments. This is one of the key educational aims of Edinburgh Council’s Gaelic plan, currently being prepared. All the education received at Gillespie’s – that delivered through Gaelic and in subjects taught through English – is top quality. For those students wishing to take their education beyond secondary school qualifications, fluency in Gaelic offers an expanded choice of options. 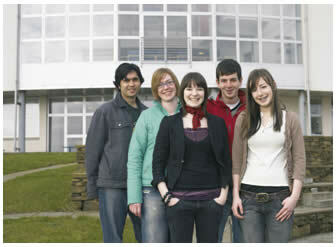 For example, Edinburgh University’s Department of Celtic and Scottish Studies offers some of the top courses and research opportunities to be found in these subject areas. There are also further excellent courses in Glasgow, Aberdeen, at Sabhal Mòr Ostaig on Skye, and at other locations in the Highlands, and indeed opportunities worldwide to study Gaelic language and heritage, including in Ireland and Canada. There are also numerous vocational courses, teacher training opportunities and other routes into careers in Gaelic, in Edinburgh and elsewhere. There are some useful links to providers on Bòrd na Gàidhlig’s education page. Besides the usual choices leading on from a top-quality education, Gaelic opens up a whole range of new opportunities - here in Scotland, more so than other languages. Among the exciting career options where having Gaelic is a distinct advantage can be found in all aspects of the media, in education, in the arts and in tourism. Autumn 2008 will see the launch of Gaelic TV channel that will create new demands Gaelic speakers with skills of all sorts, and the growth in Gaelic-medium school enrolment is already fuelling the demand for teachers. In addition as Gaelic plans are prepared by organisations and businesses round the country the need for Gaelic-speakers in all sectors is set to grow rapidly.